Joint life insurance is a life insurance policy underwritten on the lives of two people. These to people are usually spouses, but not always. There are two forms of joint life insurance, first to die and second to die (second to die is also known as survivorship life insurance). Joint life insurance can cost more or less than a policy underwritten on one person, depending on the type, but is almost always less expensive than two separate life insurance policies, and thereby it can satisfy a financial planning need while saving money in some instances. A joint life insurance policy can never be written on more than two insured people. First to die life insurance pays a death claim when the first of the two insured people pass away. Typically this is sold when both spouses work and are income earners for the family. Because the incomes they earn provides for each other and/or their family, first to die life insurance is usually used between spouses to provide for each other in the case of one’s early passing. While first to die life insurance is more expensive than a single life insurance policy, it is less expensive than taking out two separate policies. Sometimes two separate life insurance policies are not needed to provide for beneficiaries in the event of the passing of both insureds. First to die life insurance can be a great way to provide the protection people need and crave, while minimizing damage to their wallets. Second to die life insurance, otherwise known as survivorship life, also has two jointly insured people. Second to die life insurance will pay a death claim upon the death of the second insured person. This is also most often used when spouses are the insureds, and protection for beneficiaries is needed upon the passing of both insured people. 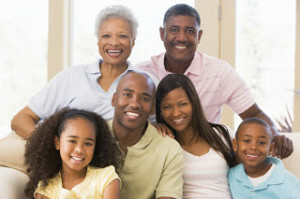 A common scenario where survivorship life insurance is if two parents are both capable of working and earning sufficient incomes to support their family. If one parent were to pass away, the other would be able to pick up the slack and provide sufficiently for the family. If both were to pass, however, the children would be unable to provide for their own needs, and life insurance coverage is needed. Because the likely hood of two spouses dying early is smaller than one person’s early passing, survivorship life insurance policies are less expensive than a single life insurance policy in most instances. These policies are a great way to protect beneficiaries while not breaking the bank. There are times when a second to die policy can be more expensive for a family than life insurance coverage on just one insured person, and this is when the other insured person is in poor health condition, and is considered a high risk by the insurance company. It can be less expensive to exclude this person from a survivorship life insurance policy and instead only provide coverage on the healthier person. If this person passes away first, the benefit will certainly not hurt the beneficiaries. Passing assets between spouses can be very easy, but passing assets generationally can subject beneficiaries to large amounts of taxes in sizable estates. To help generational beneficiaries help cover the costs of these taxes, a second to die life insurance policy may be of use. These policies are typically very large, but make up a very small proportion of total life insurance policies. A joint life insurance policy may also have joint owners, which requires permission from both policy owners to make any changes to the insurance contract. This ensures that both insured person’s interest are represented equally with regard to policy decisions. Joint life insurance fits a very specific niche, but this specialty product can be both very useful, and very frugal for the right situation.